Yahoo and Yelp together all sounds a bit shouty doesn't it? Yahoo is about to up its game in the local search department with a little help from the professionals at Yelp, according to a report in the Wall Street Journal this weekend. 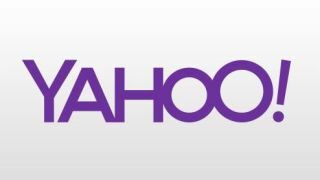 The report says the Yahoo Local recommendations which, like Google, are now appearing in the right hand column within Yahoo Search, will apparently replaced by better suggestions from Yelp. The 'paper claims Yahoo CEO Marissa Mayer announced the new partnership at a company meeting on Friday, as she seeks to reel in Google's massive lead. Neither company has confirmed the arrangement at the time of writing. Mayer's Yahoo renovations have been swift since she took the helm in late 2012. Reports late last month suggested the company is planning, once again, to build its own search engine. Currently the company is reliant on Microsoft's Bing for its search results, but it may be looking to wiggle free of that arrangements, according to recent speculation.